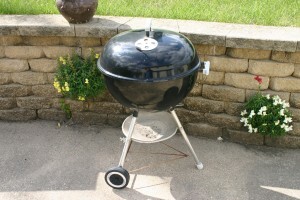 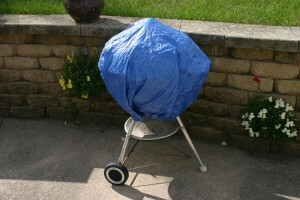 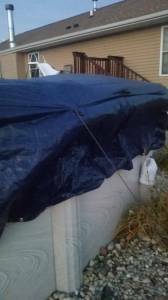 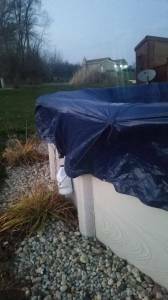 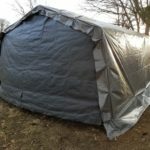 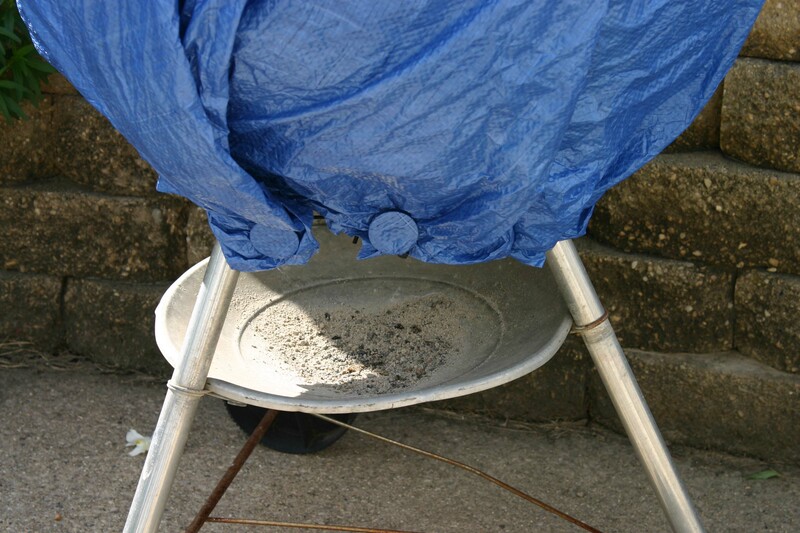 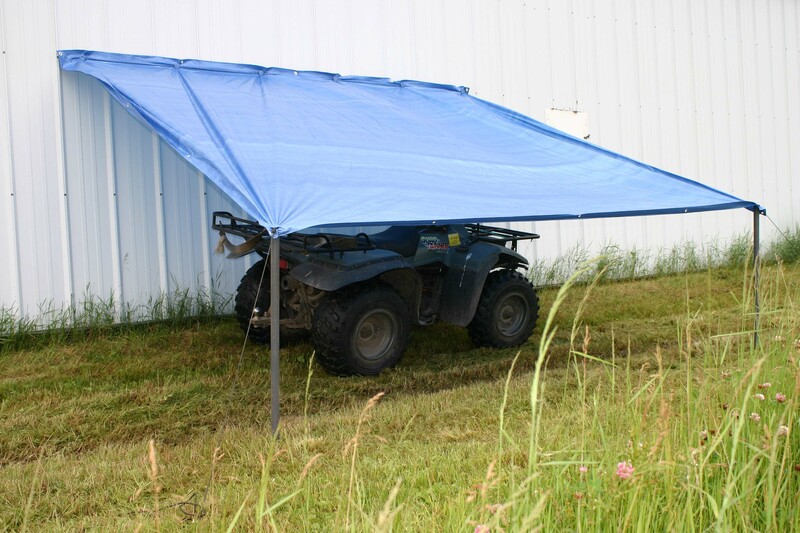 Tarp Buddy allows you to create inexpensive covers for grills, AC units, patio furniture, boats, cars, and so much more. 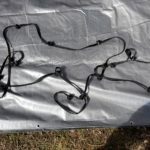 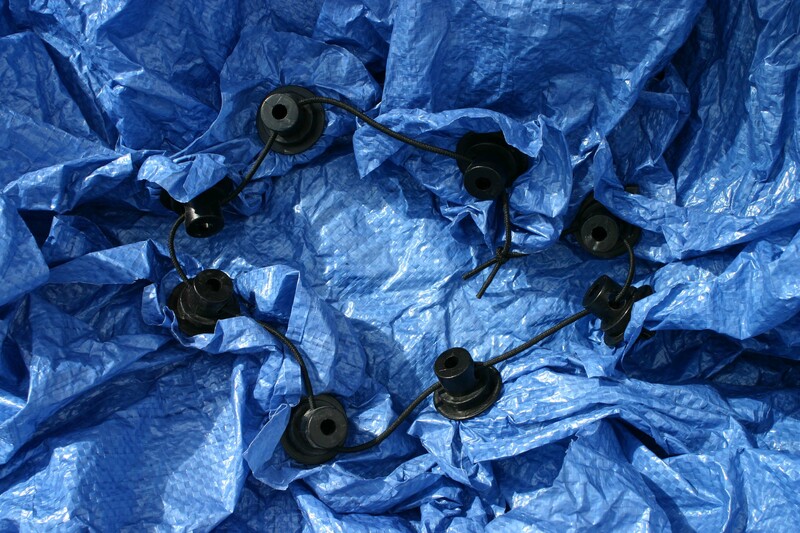 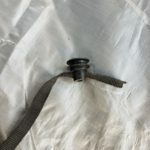 Since you no longer need the factory grommets, you can cut your tarp material to whatever shape and size you need and attach the Tarp Buddy devices using zip ties in the locations as needed. 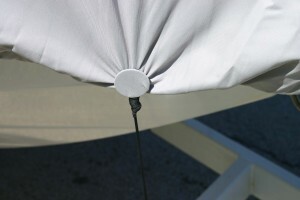 Then run an elastic cord through the side hole on the hub. 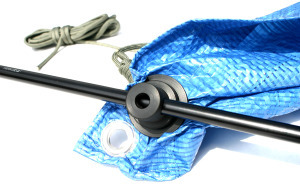 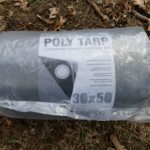 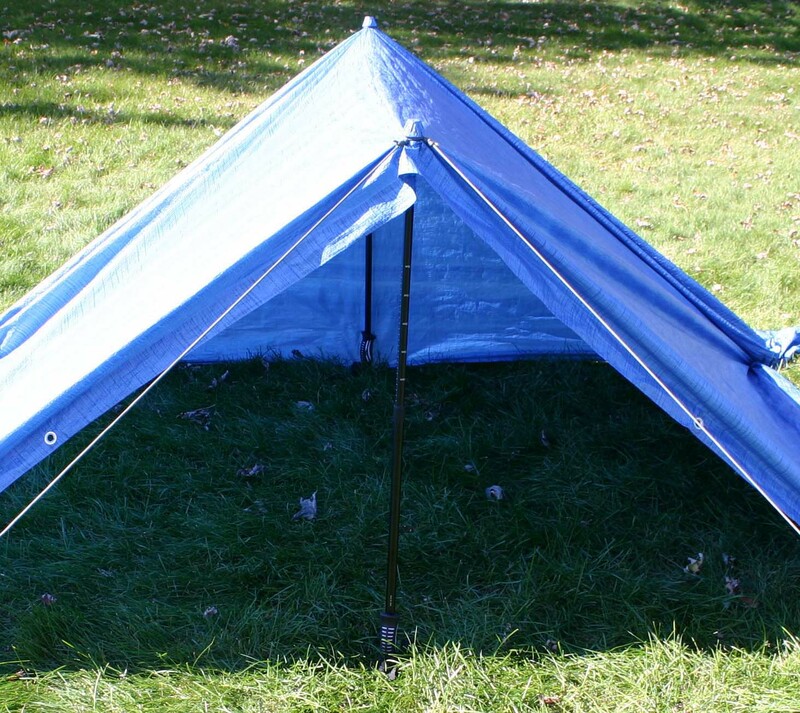 The Tarp Buddy is designed so the points of trekking (hiking) poles or ski poles can be inserted into the recessed hole for creating vertical legs for shelters. 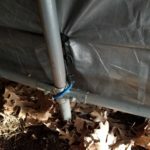 The recessed hole also allows 1/2 inch conduit to be inserted or can even self thread itself onto a 1/2 inch water pipe for more options for creating vertical legs as supports for shelters and canopies. 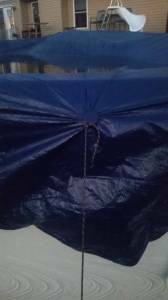 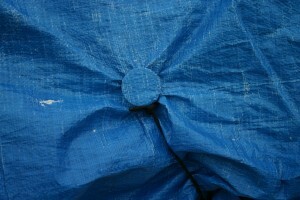 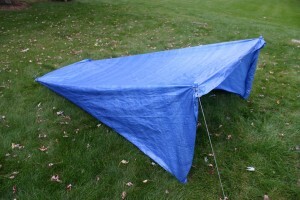 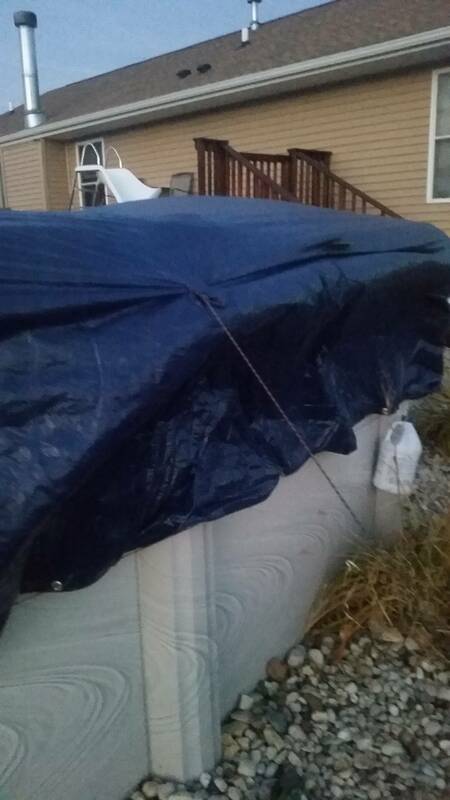 The Tarp Buddy holds strong even with all the water on top of the cover as shown in the photos. No ripping. Tarp Buddy is designed to have the ability to be attached to solid objects such as truck beds, trailers, boats, side of building, etc. 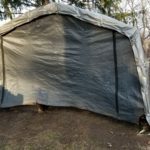 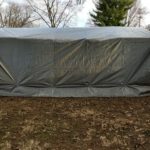 The side hole of the hub on the Tarp Buddy is designed to allow aluminum shock corded tent poles up to 3/8 inch diameter to be inserted for creating shelters of all types. Works with Custom Covers for Boats, ATV’s, Snowmobiles, Automobiles, etc. 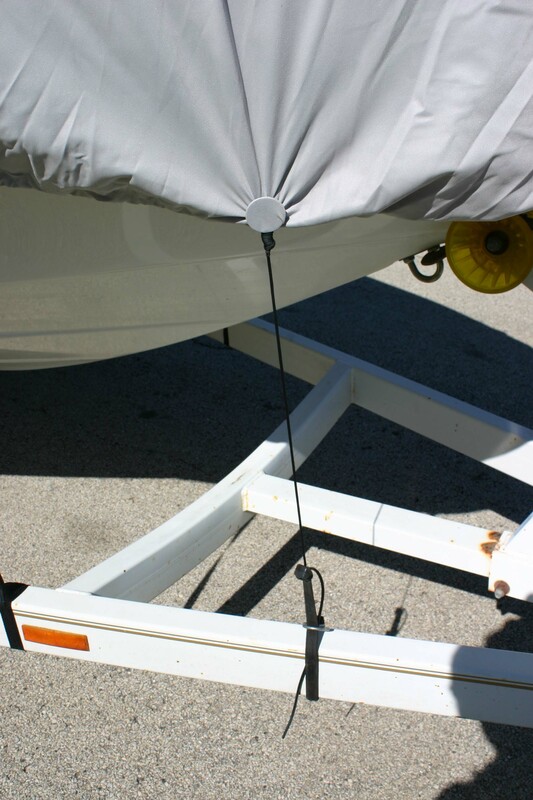 Tarp Buddy can be used on custom covers for boats, cars, atv’s, dry docks, shore stations, etc. 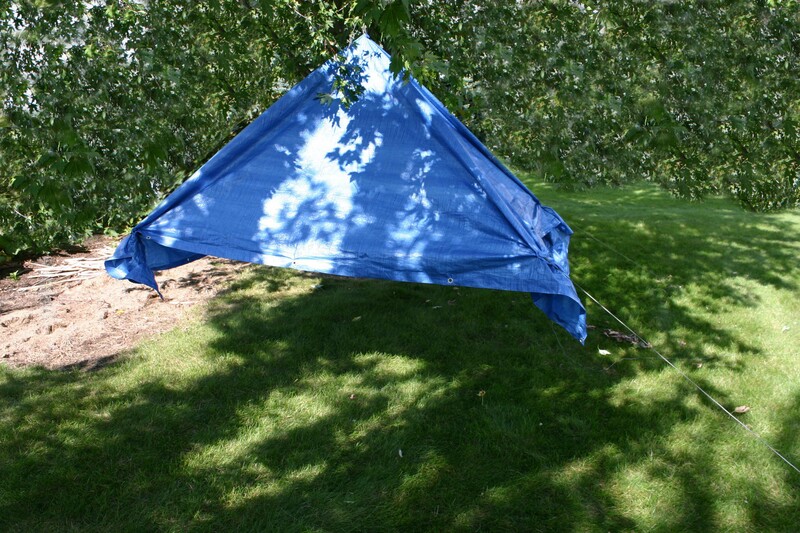 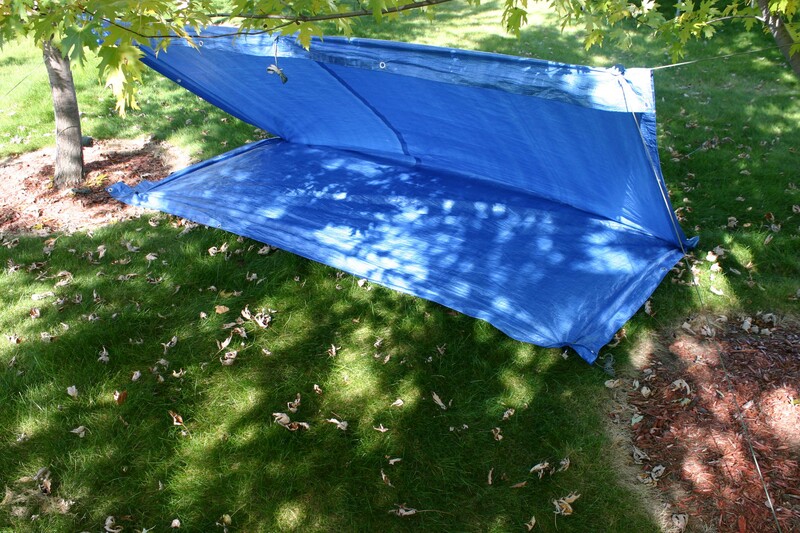 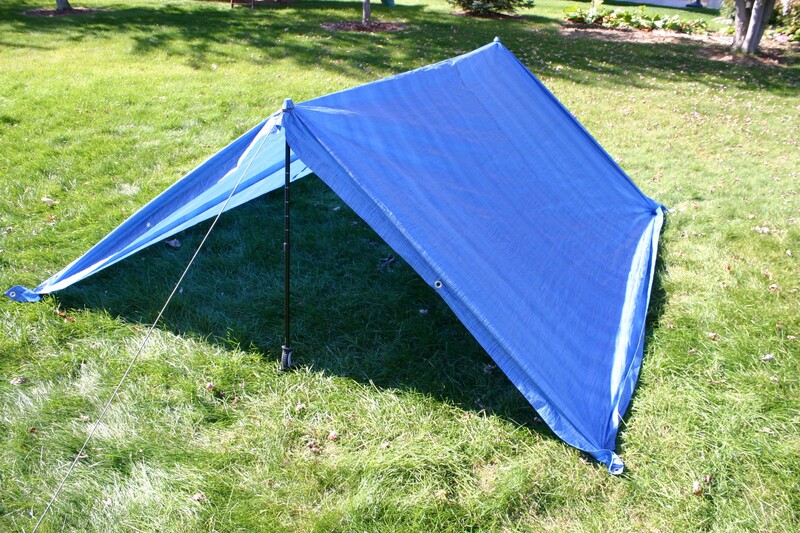 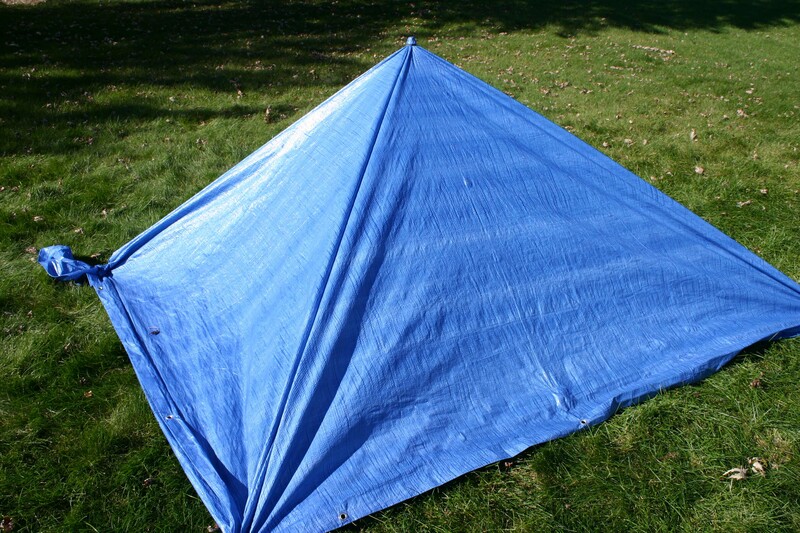 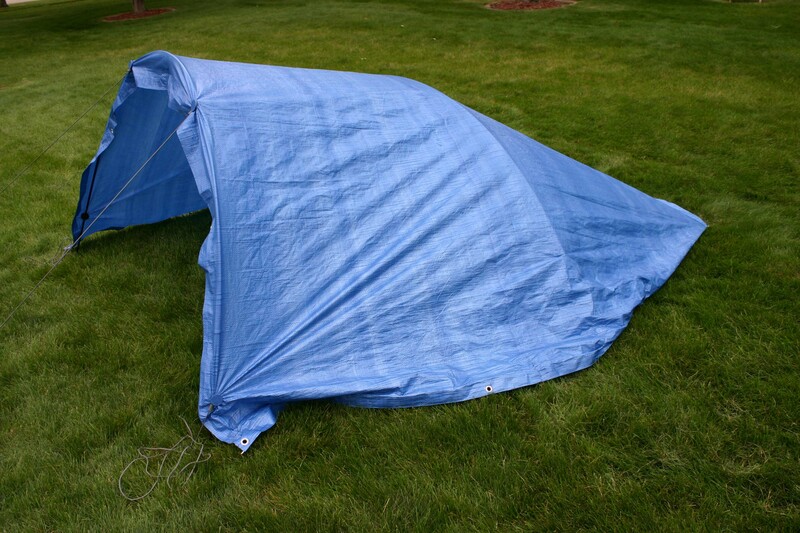 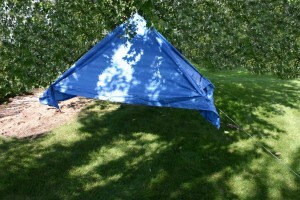 Tarp Buddy allows you to easily create an overhead shelter by hanging from a tree from above. Simply install the Tarp Buddy on the top of the tarp and can use a zip tie to secure on the bottom of the tarp. 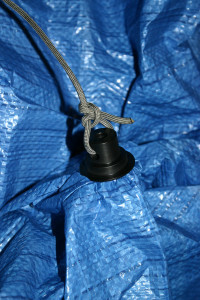 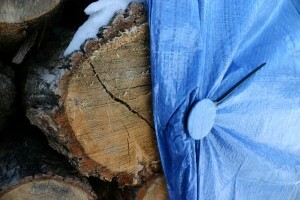 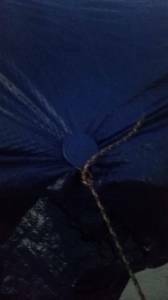 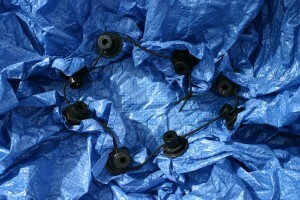 Tie a cord through the side hole of the hub on the Tarp Buddy and hang it where needed. 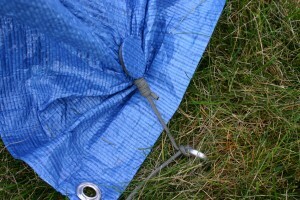 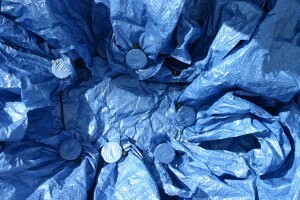 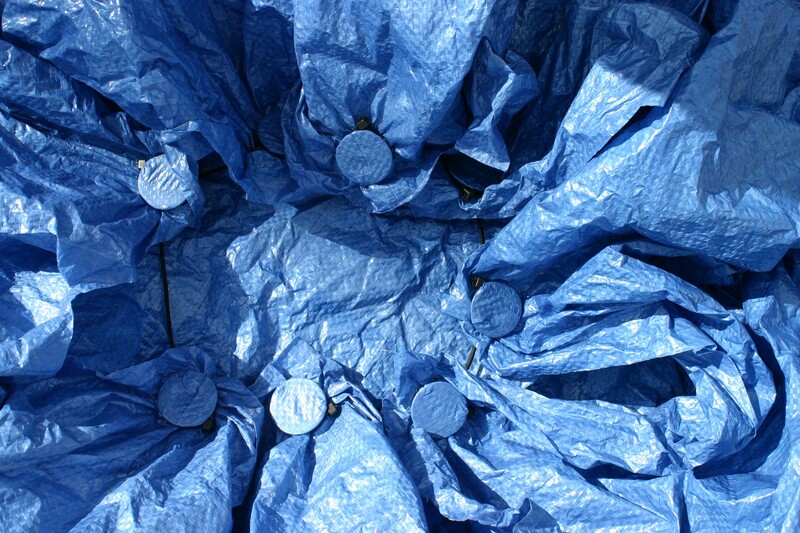 Use a Tarp Buddy in each bottom corner to take out the slack and stake them out keeping everything tight. 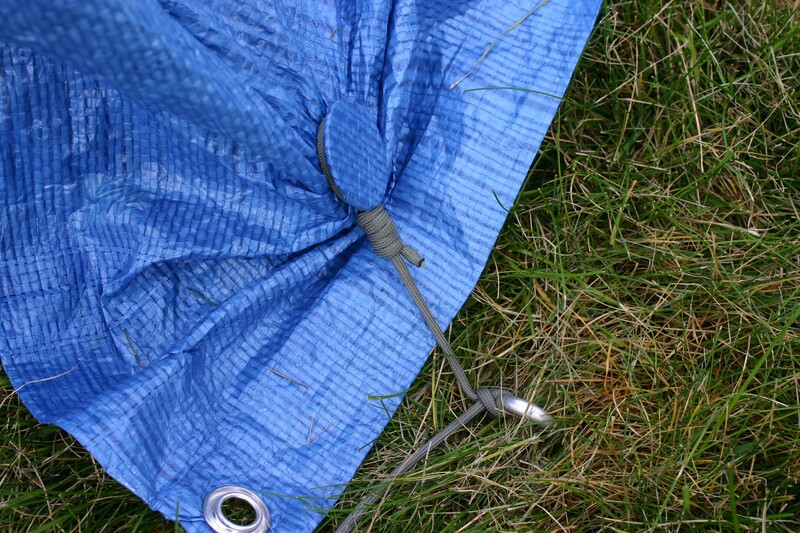 The side hole in the hub of the Tarp Buddy allows you to thread cordage through to create a ridge line for another style of shelter. 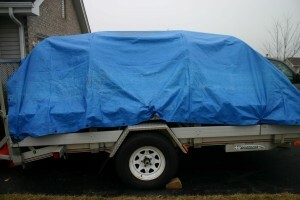 Tarp Buddy holds tarps secure on trailers. 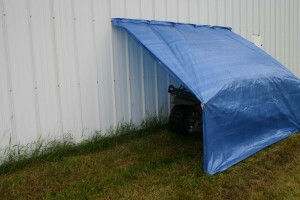 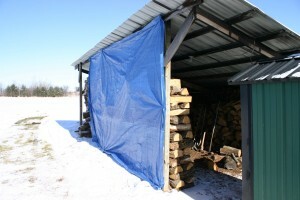 Tarp Buddy can be secured to posts or other solid objects for creating removable walls.